Yes, I'm a wedding planner and yes I am proclaiming marriage as more important than a wedding and it may seem a little counter-intuitive but, loves, it's honestly how I feel. Marriage truly can change the world. It builds up love and tears down hate. Anything that promotes LOVE is awesome! 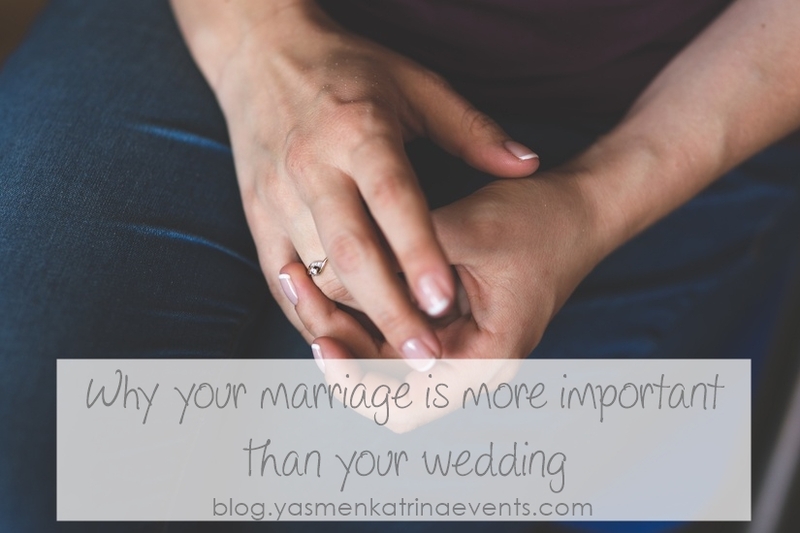 Marriage, when the foundation is strong, has the ability to change us, all, for the better. Now, let's talk about your wedding, now I never said it wasn't important (quite the opposite, actually) I just feel that your marriage is even MORE important than your wedding. Your wedding is the start of a lifelong commitment to one another, the beginning of your lifelong journey together. Your marriage is the day-to-day actualization and realization of those vows. That's incredible, right? I see and hear of couples every day who argue over their wedding details. Honestly, it makes me sad! If it won't matter 5, 10 or even 50 years from now - what are you fighting about? What you should be fighting about and for is the big stuff - the actual VOWS you are making to one another and sticking to them. What matters is the children you'll share, the traditions you'll create, the beliefs you will uphold. Marriage is powerful like that - it brings people together. You + Me = same team. So, when your latest wedding argument is about what cake flavor you want - remember this, it just won't matter in the long run. Fight for the big stuff - your beliefs, your loved ones, equality. Fight for love and it will fight right back... cause if you're not fighting for love, why bother?